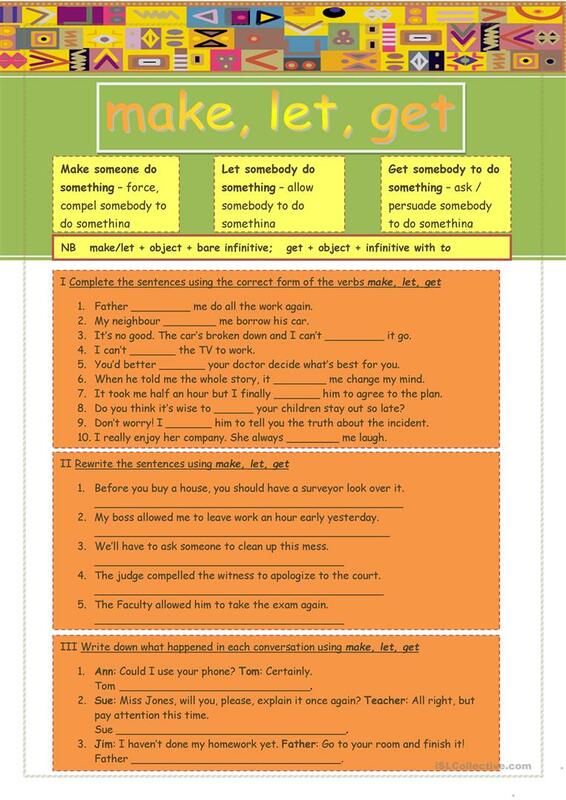 This worksheet has been made for practising the verb pattern: a verb + object + infinitive (with/without to). There are three different exercises and the key. 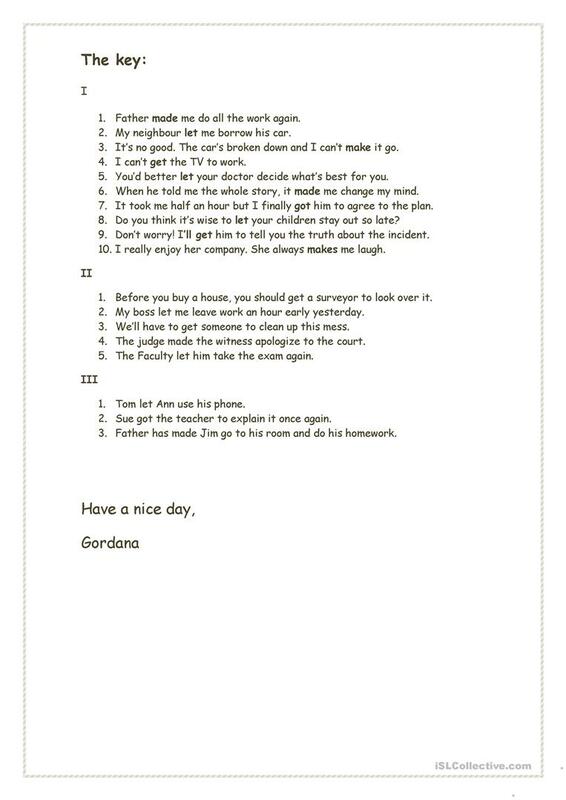 The present downloadable printable is recommended for high school students and adults at Intermediate (B1) and Upper-intermediate (B2) level. It is valuable for teaching Verb patterns in English, and is a valuable material for honing your pupils' Reading and Writing skills. There is an answer key provided with the exercises.